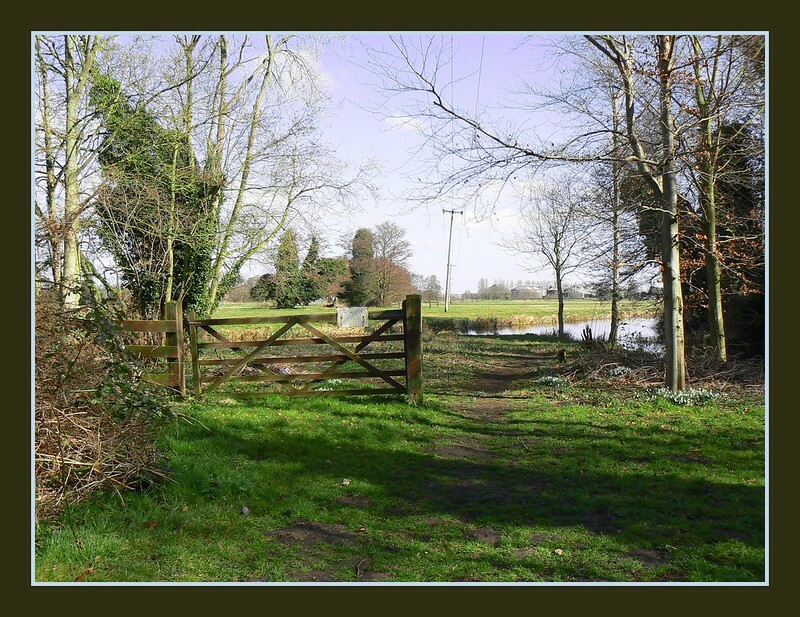 Going back to the original path, there is a gate ahead - but with fencing remaining on only one side! Going back years, I used to wander down to that area when it was a wilderness and, of course, when the old maltings was still being used as such. In much the same position as the present one, there was a path kept open by someone using a mower now and again to force a way through the undergrowth, and I was always relieved when the urge seized me to go down there for a little quiet trespass and I found the path newly manicured, for the brambles and nettles were a hazard at the best of times. 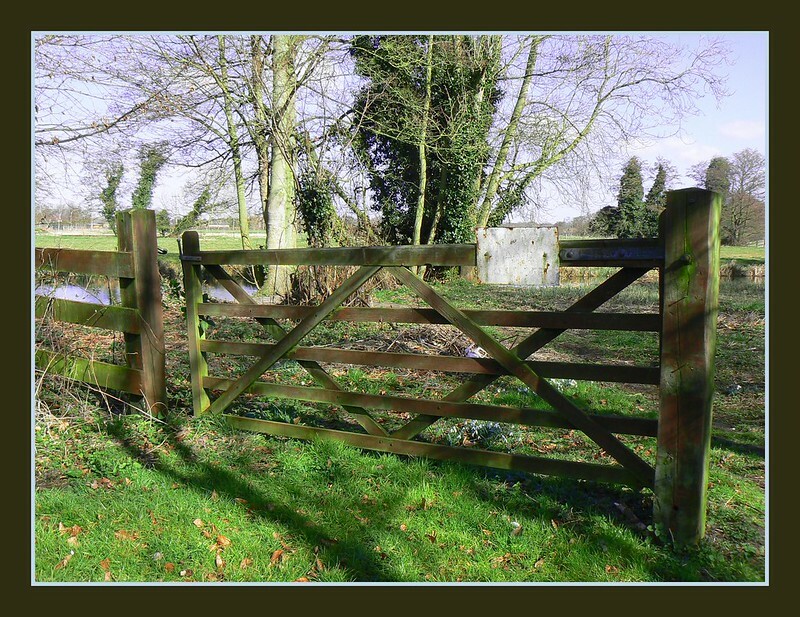 I would go as far as I could up towards where the gate is now, but an old fence barred the way from then on. To my amusement the first time I went exploring I could see through the bushes an ancient railway carriage - someone's private hideway. Over the years the carriage was replaced by an old wooden hut. At least, no doubt it was new when it was erected but, after the death of the owner of that little tip of land on the river bank, the hut gradually collapsed into a heap. However, a few years ago and after the maltings conversion, someone removed the derelict hut and erected a brand new, very solid fence with a gate bearing the large notice PRIVATE. The usual brand of destructive youth used to get down there at night, probably with today's replacement for opium pipes and, of course, made several attempts to pull down the fence. After all, what is a fence for if not to be vandalised. It would be repaired, and broken, and repaired, etc. etc. Meanwhile the Broads Authority had taken over the whole area except the part signed PRIVATE, though I don't think they actually own any of the land, and it was they who made it into a very pleasant little amenity area, fixing the "barriers" at the entrance to the path, erecting the little footbridge, clearing the brambles which still insisted on claiming their territory and generally looking after it all - when they remembered, that is. I used to know who owned the private section but whoever it is now I think they have given up on the gate and fence and you can walk right through to the river bank. 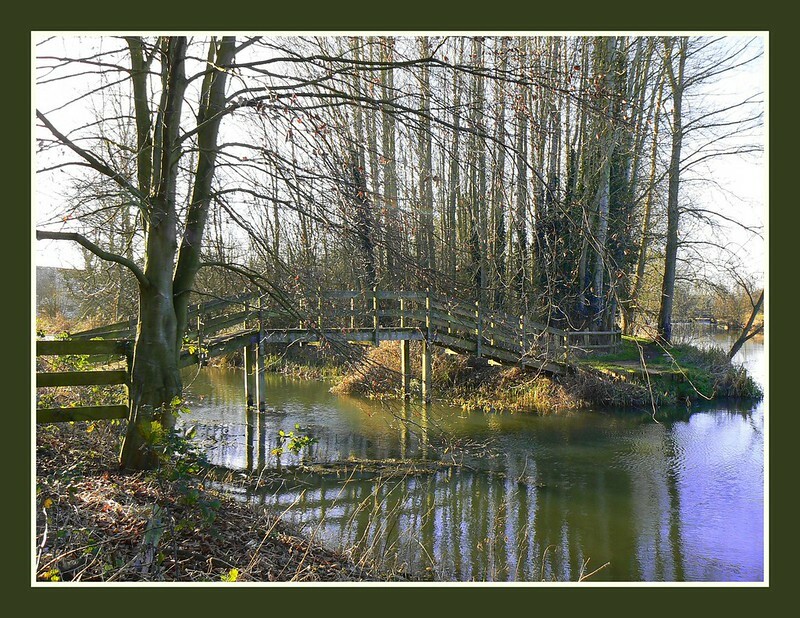 Turning further to the left is a view looking back to the footbridge across the millstream. At the extreme right is the river. When I went down recently to take some of these photos I saw that the closed notice on the bridge had been removed. My first thought was that the structure had been repaired. But when I examined it clearly nothing had been done. The posts seemed firm enough although a few planks were sloping, and I walked gingerly over it. Then from that side I could see that one of the horizontal supports was, as they say in Norfolk, "on the huh". I just as gingerly walked back and retraced my steps home. 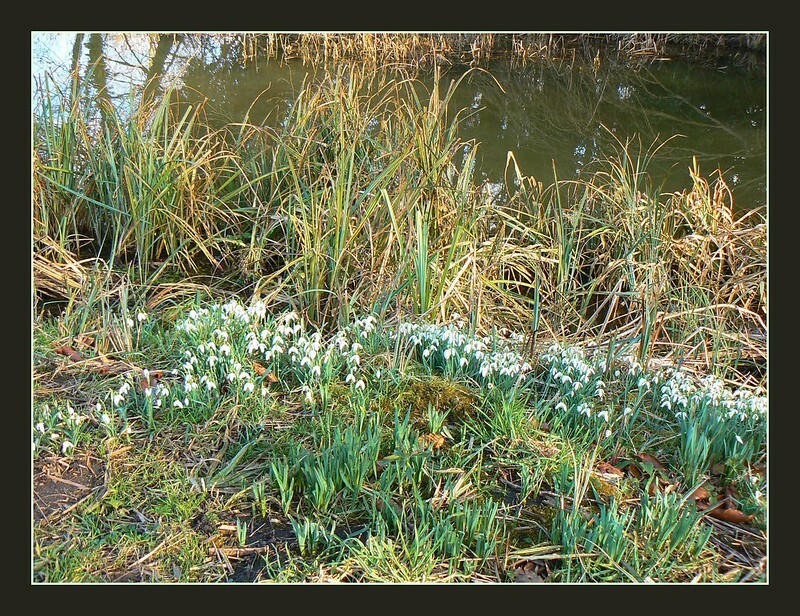 I have since phoned the Broads Authority, who assured me that it was not they who had removed the notice and I politely asked that someone do something about it. 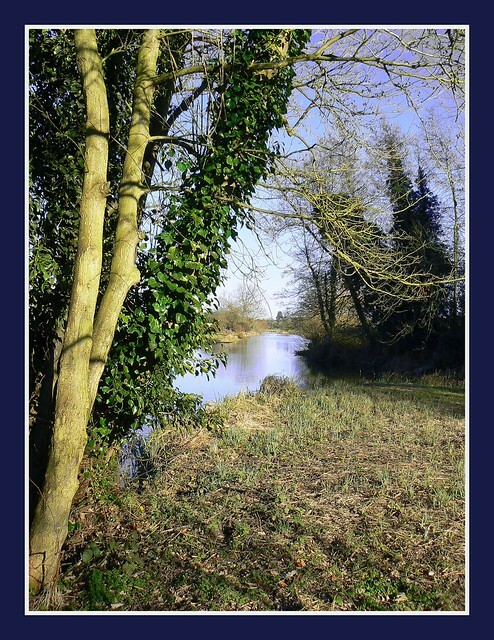 Having heard rumours about the newly-formed Waveney Trust wanting to take over the area I questioned whether or not the B.A. were still looking after it. 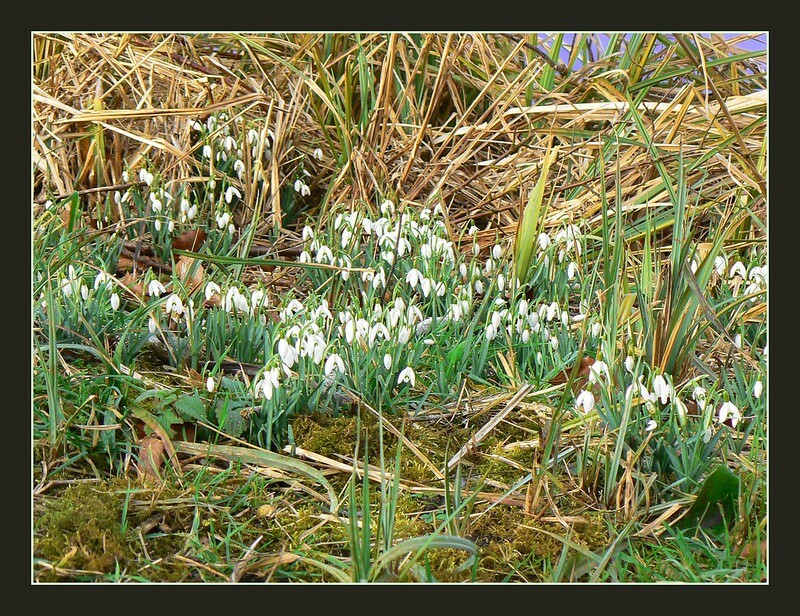 He then sounded a little embarassed and said that there was a lot of debate going on at the moment as to who should now care for the place, as the B.A. did not feel that they should bear the responsibilty for ever. But he said he would send someone to have a look at the bridge. Last edited by wherrygirl; March 14th, 2015, 11:29. 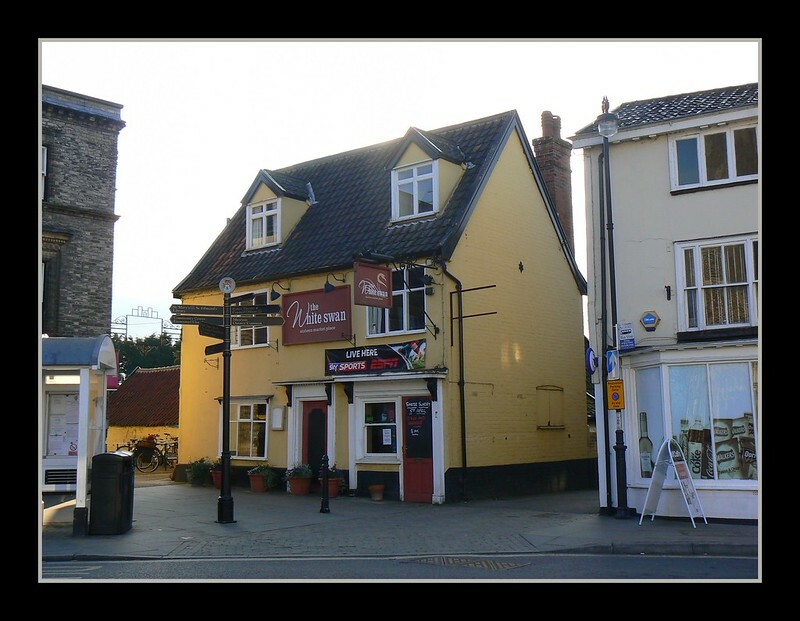 A short stroll away is the heart of the town - the Market Place. A centre piece, the whole of which will appear later, has this statue on top. At first glance maybe it is a familiar figure, but it has one difference from the versions normally seen. Last edited by janihudi; March 22nd, 2015, 17:42. So you should, cheeky monkey! 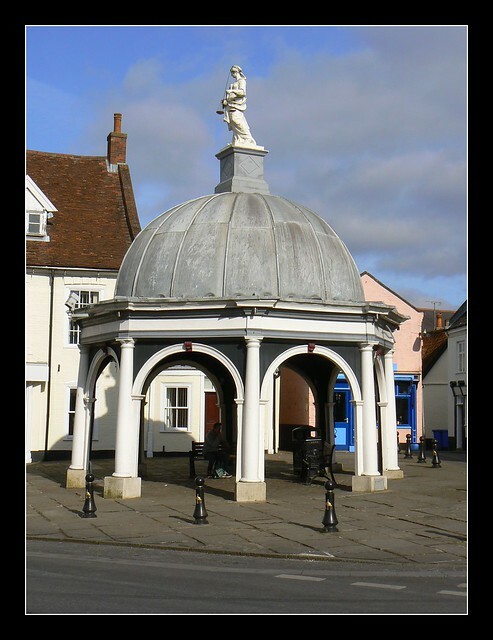 The photo in #19 is of a figure considered to be one of the most attractive examples of lead statuary in any public place in the country and was originally purchased by the Town Feoffees in 1754 for just under £30. It was taken down in 1984 while the Buttercross on which it stands was undergoing much needed restoration work and was seen to be very beautiful. It is thought to be modelled on a girl of about 16. In a book about English lead statuary the figure was said to represent Astraea, the Goddess of Justice and the last deity to leave Earth at the end of the Golden Age. She took her place in the Zodiac as the constellation Virgo, a virgin bearing a sword in one hand and a pair of scales in the other. What distinguishes our Bunga.y statue from most others is the fact that she is not blindfold. 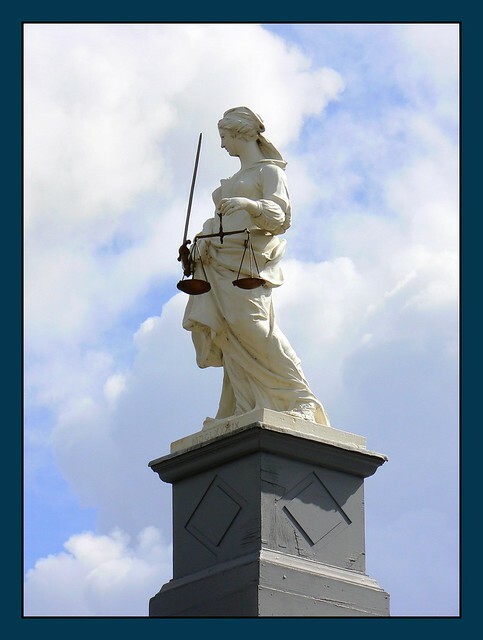 There are only two other similar statues in the country representing Justice, one is on the Tollhouse in Great Yarmouth (where I go for the Maritime Festival) and the other is the Old Bailey in London. 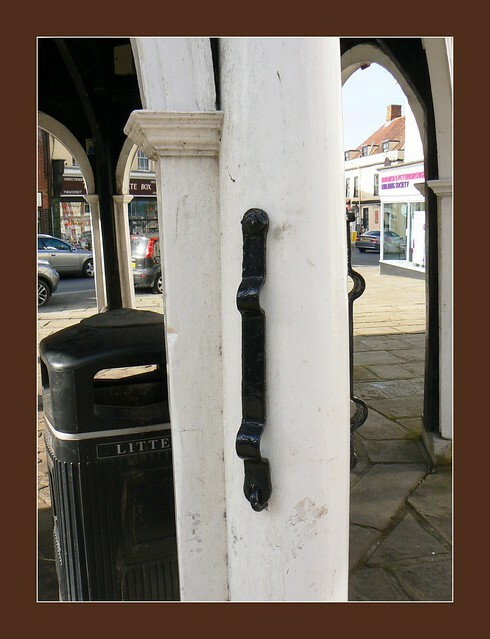 Close-up of the wrist iron (another can be seen further round the pillar to the right). The Buttercross had another use beside a market place for farmers to lay out their produce for sale. That I'll explain in the next post. The present Buttercross was built after a disastrous fire in 1688 destroyed the former one as well as quite a few other buildings in Bunga.y. In the centre, raised on steps, was a prisoners' cage in which miscreants were held pending their appearance before the magistrate. The cage was removed in 1836, but the steps remained and became a popular place for the ne'er-do-wells to gather and generally make a nuisance of themselves. (Nothing changes, does it?) Such a nuisance that finally in 1863 the steps were removed and the ground levelled, though no records exist to say whether the local yokels remained or took themselves off to a more suitable venue. But what was so interesting was that the removal of the steps revealed a dungeon beneath. It was octagonal - about 6ft. 4 ins (slightly under 2 metres) in diameter and only 5ft. 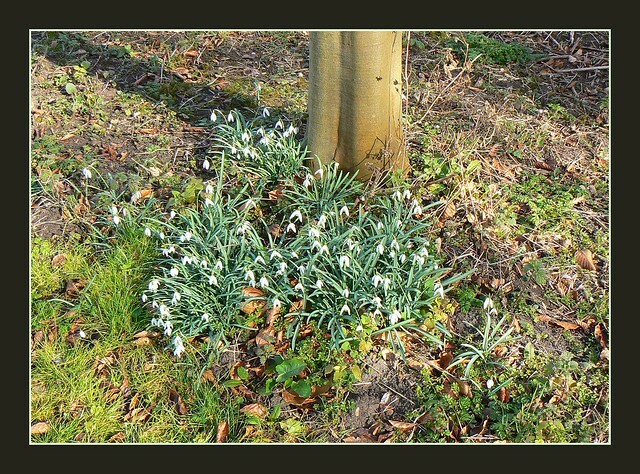 1in (about 1 ½ metres) high. The wall was strong, built of stone and faced with brick, but behind it was another stone wall, two feet thick but not so tall. And there was still more to be discovered, for behind that second wall were layers of rubble and brick mixed with large lumps of charcoal and charred wood. This was obviously what was left after the 1688 fire. At the same time, a small copper coin dated in the reign of Charles I (he was king 1625-49) was also found. I'm sorry to say that I don't know whether the dungeon remains or whether it was filled in. Last edited by wherrygirl; April 3rd, 2015, 19:49. The fire I referred to was thought to have originated overnight in a baker's shop in the Market Place just opposite the Buttercross. 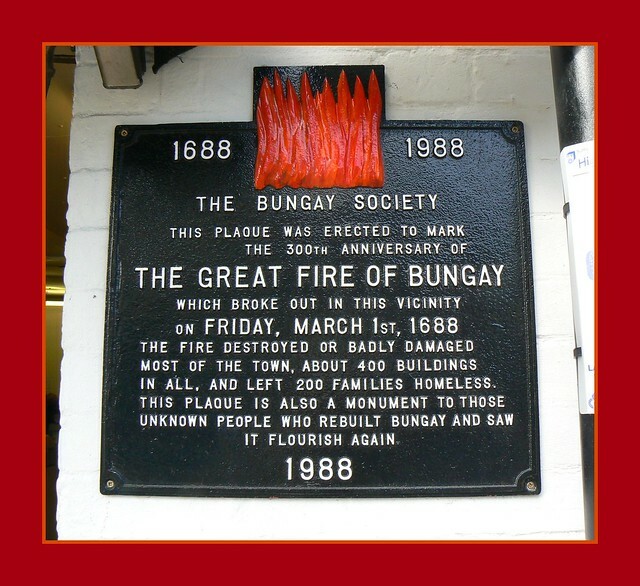 The Bunga.y Society erected a plaque in 1988 to commemorate the 300th anniversary of the fire, but over the years the plaque became somewhat weather worn. It has now been beautifully refurbished and has been erected at a slightly lower level than before so that it is more easily read. By coincidence there is a present-day baker's shop at the left of the plaque. Last edited by wherrygirl; April 6th, 2015, 11:11. 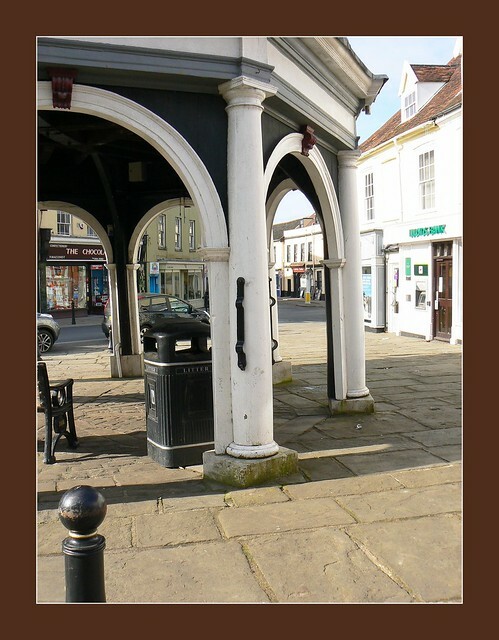 In #23 I mentioned the cage that at one time stood beneath the dome of the Buttercross. For those with a little spare cash - or a very friendly associate - there was a more comfortable option. 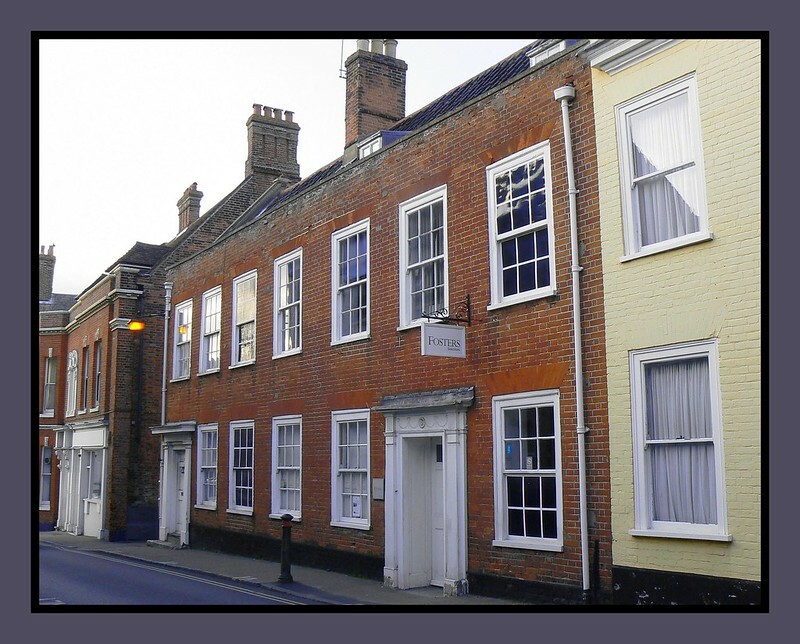 For a certain sum, they could rent a bed at the White Swan opposite - heavily shackled to the bedpost, of course, pending their appearance before the magistrate. I wandered up the town last evening and took advantage of the quietness of the streets during the holiday to take a shot of the White Swan. It's not easy to do, with the close proximity of the bus stop shelter (no thing of beauty anyway), the prominent black wheeliebin and now the recently erected signpost all intruding into the picture from most angles. I tried from the far left, but the chemist there has a mass of scaffolding around it ready for goodness knows what, and clamber though I might into and around the tangle of poles, I could do no better than this photo. The pub is no thing of beauty either and shows little sign of its origins as a 15th/16th century beerhouse, except perhaps the steep roof which betrays the probable one-time thatched covering. When we surveyed it years ago we found it very disappointing. The bar area had nothing to offer (for the historian, that is, as no doubt it was well stocked behind the counter) and the then licensee said that most of it upstairs had been completely altered, with many of the walls plasterboarded over. 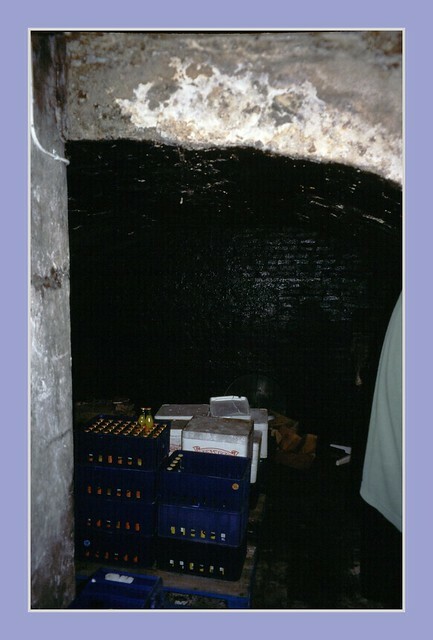 There was one area unaltered - the cellars - but such was the gloom down there that it needed a battery of floodlights to give any worthwhile photos. There were two cellars, the first with its walls boarded over being more of a passage to the main one. That was quite large from what we could see, peering into its depths and the licensee surprised us by saying that in fact it was completely outside the footprint of the building itself. He said that the massive arched entrance to the cellar was exactly below the main pub door. Mentally tracing back the way we had come, we realised that this was indeed so and worked out that the cellar stretched from the front of the building more or less as far as the bus shelter, then to the right part way across the passage. The right hand side had a kind of stone/brick shelf running the length of the wall, about 4 feet above the ground, with three arcades below. The pillars of a similar shelf were still there on the left, (out of the picture). The whole was dripping wet, and when it rained heavily the walls apparently just ran with water. With what we have experienced these last months I should imagine that the White Swan had a sizeable lake on which to float. Thank you for this report on your day-to-day environment Ivy.This White Swan seems to be a nice place. Hope you frequent with moderation,though. Apart from the time we went in for the survey, my feet have never crossed the threshold, Yves. . I think it is alright now but at one time it was a bit of a dump. 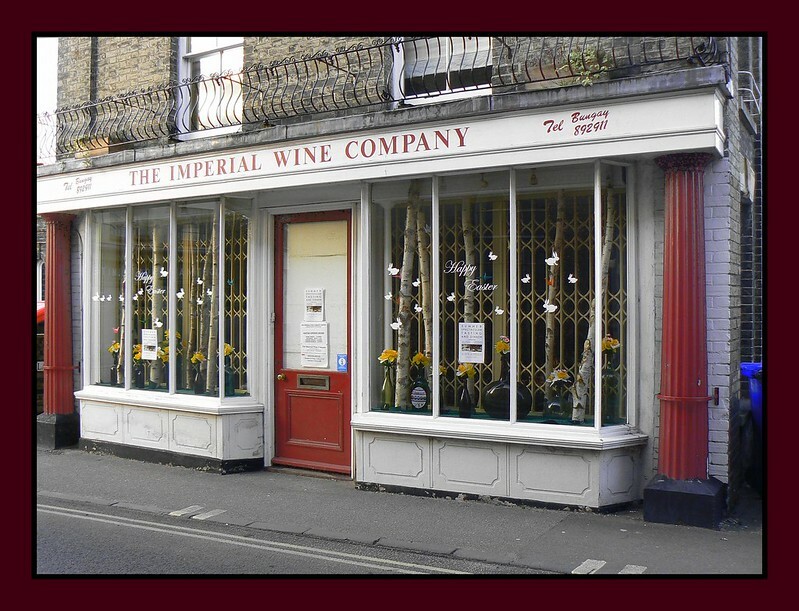 i like this kind of history,so pity we hadn't go that way in the weekend,have just the image of the sign on the wall. 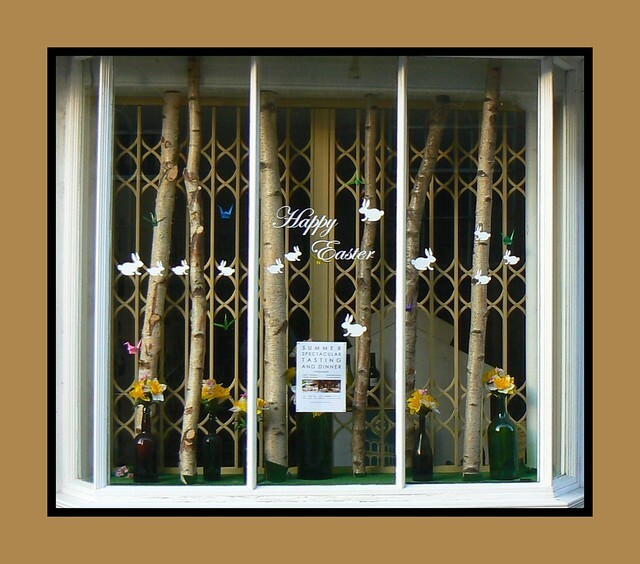 Just off the roundabout (once the old corn market) I smiled at this shop window display. It is difficult to photograph because of reflections and the best place is right opposite the shop - except that there is no pavement there and the traffic, despite being in a 20 mile limited area, just tears along doing at least 40. Last evening, being holiday time, was not too bad although the traffic was even faster, but they had a good sight of me and maybe one or two even thought I may be a traffic cop in disguise as I raised my camera in their direction. Just to the left of the wine shop are these two houses. They seem normal enough but there is one strange thing about them. It is clearly visible but perhaps not recognisable. I don't see this strange thing.Except that it would have been more aesthetic to built the first door near the yellow house. As far as the placement of the doors is concerned, Yves, I was up the town yesterday afternoon and had a proper look at the two doors. I immediately recognised that the building was originally erected with one door, that at the end next to the yellow house. Above the far door can be seen the voussoirs which had obviously once been above a window. I'm not sure if that is the correct term because it normally applies to those bricks laid upright and forming an arch above a window, whereas these are set on a horizontal base line but each rubbed to form a wedge shape thus making an opened fan shape overall. You can see them above all the other windows. When the far doorway was inserted it was obviously best to leave the voussoir in place as it would be set on the lintel supporting the wall directly above the window-that-was. That second doorway is of the same style as the one near the yellow house, but without the decorative motifs above the door. However, why it was not set in place of the next window, for the sake of balance, goodness knows. Layout of the internal walls may have dictated the position. Again, why the original door was not actually right at the end is another query. If you had not remarked on those doors I would never have noticed all that. But now you have me wondering why the original door was set towards the end of the building rather than centrally. This area was very near the outbreak of the 1688 fire and whatever stood on the site before would have been destroyed. All the houses in this road - Trinity Street - were burnt down and later rebuilt in the imposing red brick Georgian style. So whether what remained of the original structure dictated the layout internally and thus the door position is a matter of conjection, or discovery. So, now you have to make investigations,Mrs Holmes.